Your air conditioner is one of the most essential devices in your home during those hot summer months and can be the difference between living in comfort or living in misery. That's why it can be such a disaster if your AC decides to suddenly shut down and stop providing you with that soothingly cool air. 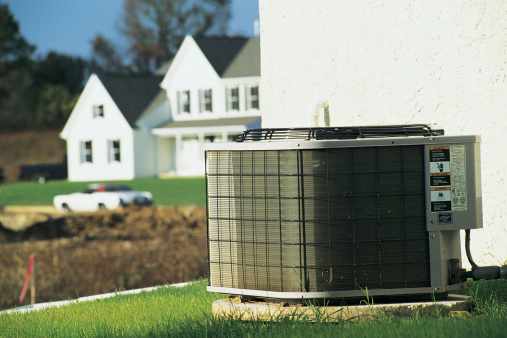 It's very possible that your air conditioner may have reached the end of its life, or it may just require a hard start. A central air conditioner may be hard started with a hard-start kit. Air conditioners use motorized compressors to circulate air through the vents in your home. These compressors degrade over time, however, and may have trouble spinning as they get older. The air conditioner will produce noticeably less cool air or may stop producing air altogether if the compressor fails to start at all. You will see that the fan inside your central air conditioning unit is spinning slowly or not spinning, indicating it's not getting enough juice. A hard-start kit is essentially a capacitor that's placed inside your air conditioner. This hard starter acts as a "kick start" device that will push your fan on. The fan should start spinning very fast almost immediately as opposed to the slow start-up time that may have plagued it beforehand. The capacitor in the hard-start kit essentially provides extra juice at the beginning to help get the fan, and thus the motorized compressor, running at full speed right off the bat. Hard starters are a quick and easy fix to an air conditioner with a faulty standard capacitor, but they're also typically temporary. Hard starters could, in theory, extend the life of your air conditioner's motorized compressor by shortening the duration that electricity needs to flow to the motor. A compressor that takes longer to start up requires a longer flow of electricity, which could damage the wiring over time. Hard-start capacitors also purportedly eliminate "light flicker" in your home when the air conditioning is kicked on because they minimize energy consumption by the compressor's fan. Hard-starting capacitors, as stated before, are just temporary solutions and may not work at all, particularly if your air conditioner is broken thanks to mechanical issues and not electrical issues. If your compressor runs briefly then shuts off, this issue could theoretically be fixed with the use of a hard-start capacitor, but it's also typically a sign that the compressor is reaching the end of its usable life and will need replacement soon, anyway. Air conditioners equipped with hard starters may also trip circuit breakers because of the change of electrical voltage being used, so rewiring by a professional technician may be required. Why Is My Fire Alarm Chirping?